Effective time management is a necessity commonly needed by anybody expecting to successfully manage the typically busy lifestyles we live today. Coordinating business, social, and family activities can be a very stressful task. Without establishing some sort of time management system you are inviting tension and chaos into your life. Although lifestyles may vary there is an overall need for just about everyone to develop some sort of time management skills. From the important matters concerning your business to managing a household there will always be multiple tasks needing to be completed. This can only be done by you managing your time in an efficient manner, but where do you start? Let's discuss 3 simple time management tips you can use to immediately take back control of your day while increasing your productivity. 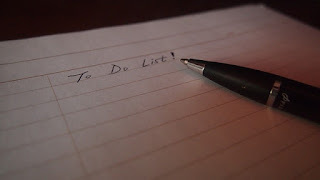 The first order of business for anyone juggling a hectic schedule is to first list the things you want to accomplish. Certain sizable tasks will require that you break them down into the steps that are involved and needed to actually complete the task itself. When developing your 'to do' list you will also be able to note the estimated amount of time you'll need to complete each task. Now you will review your list and begin to prioritize each task. Certain things may be more important or time sensitive than others therefore you will schedule for their completion first. During this stage your focus is simply to 'rank' your list according to their respective priorities or associated deadlines. Here you want to 'arrange' for the actual completion of each task on your list by 'working' them into your schedule. Using their rank in priority and their estimated time of completion you can now put together a 'workable' plan for when each task will be done. Be realistic here and don't try to over book yourself. It'll will only make you frustrated and discourage you when you can't complete all the tasks. It will also increase your haste which will invite error resulting in the inefficient use of your time. With a little practice here you'll improve your time management skills helping you to more quickly and accurately develop, schedule and coordinate your activities. 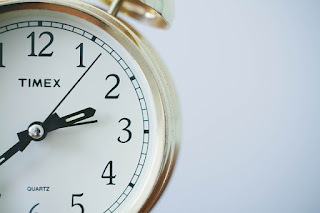 Of course effective time management always culminates in the successful execution of those activities or tasks that you schedule, but then again you already knew. Having in place a time management system such as the one we discussed above enables you to alleviate undue chaos while accomplishing more. Whether it's for personal reasons or your business , time needs to be properly allotted for each task to be successfully completed. By simply following the 3 time management tips we discussed here today you can enjoy a fuller and more productive life and all with less stress.